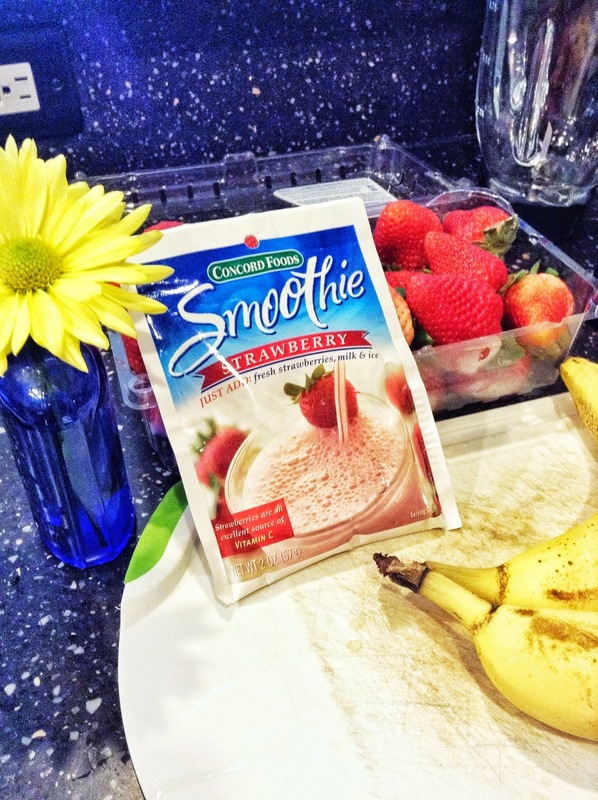 Over the Moon for...Strawberry Smoothies! 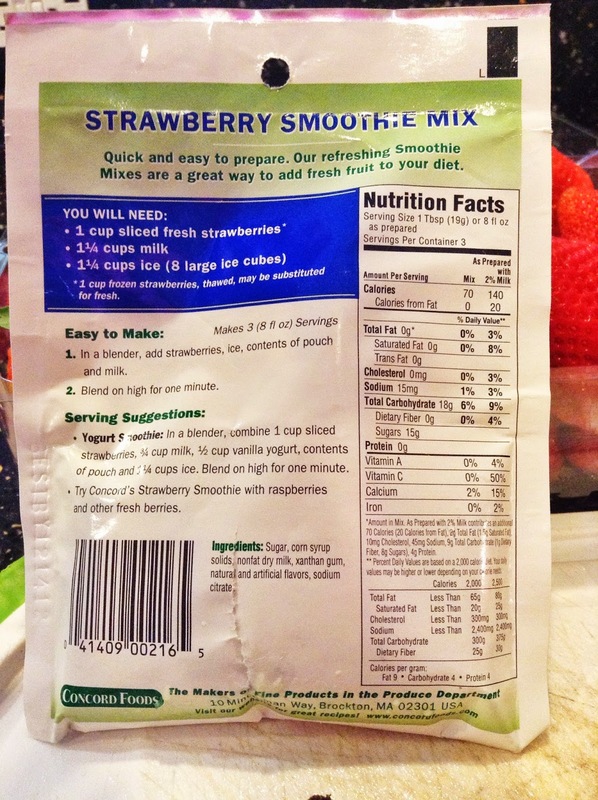 When making any smoothie I usually use the Concord Food Smoothie packs, or a similar product, just to add a little more flavor. 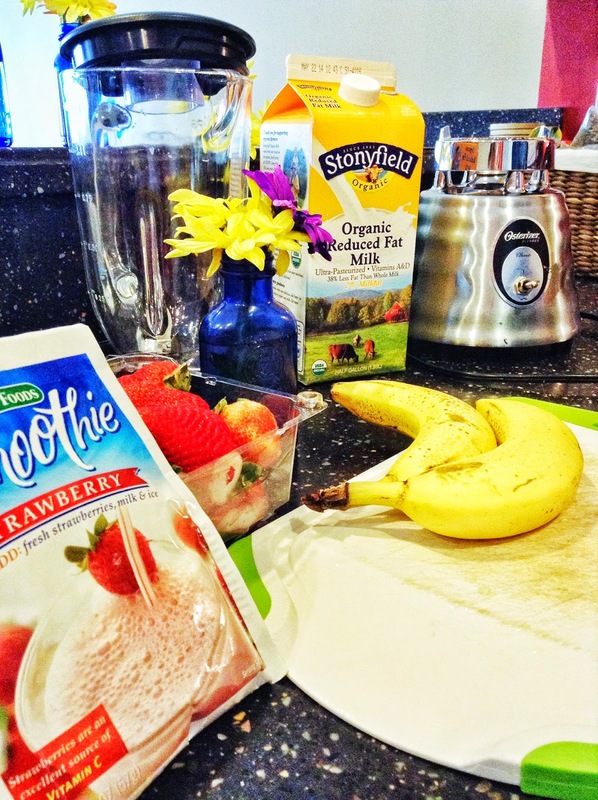 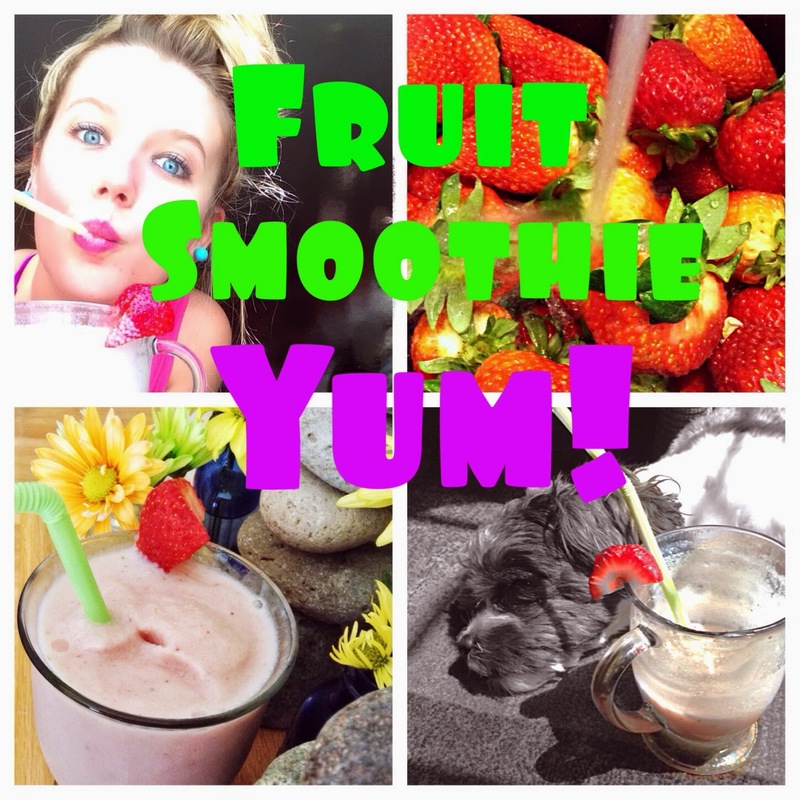 The smoothie pack gives very simple instructions; I only do a few things different! 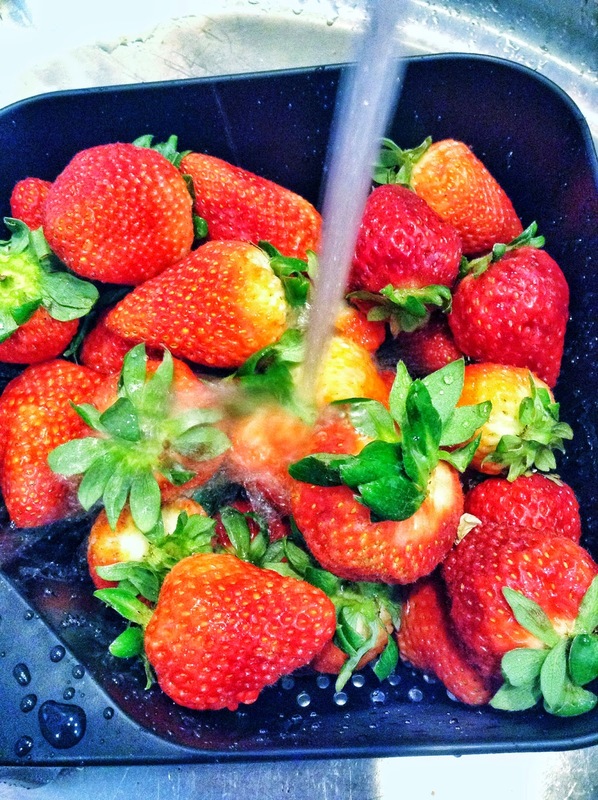 Be sure to wash your Strawberries!! 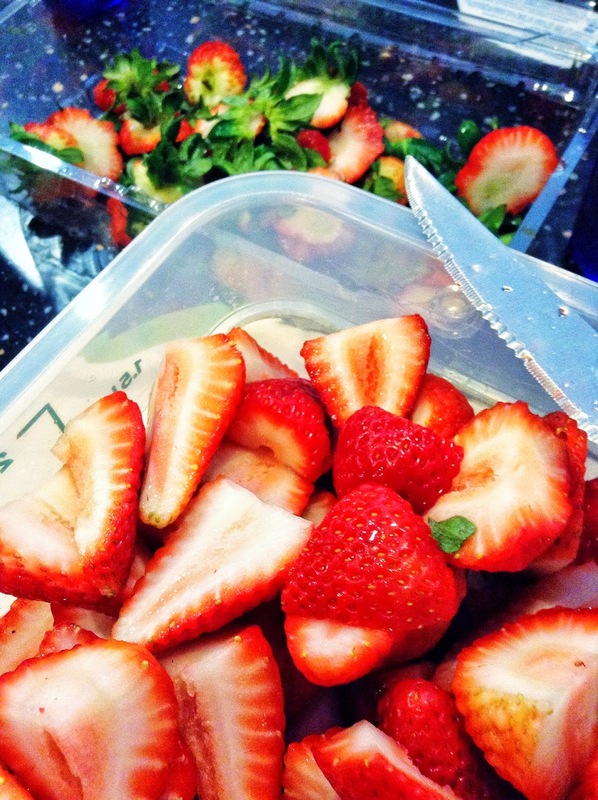 Slice and de-leaf your strawberries, you do not need a whole pack of strawberries so save the rest for later! 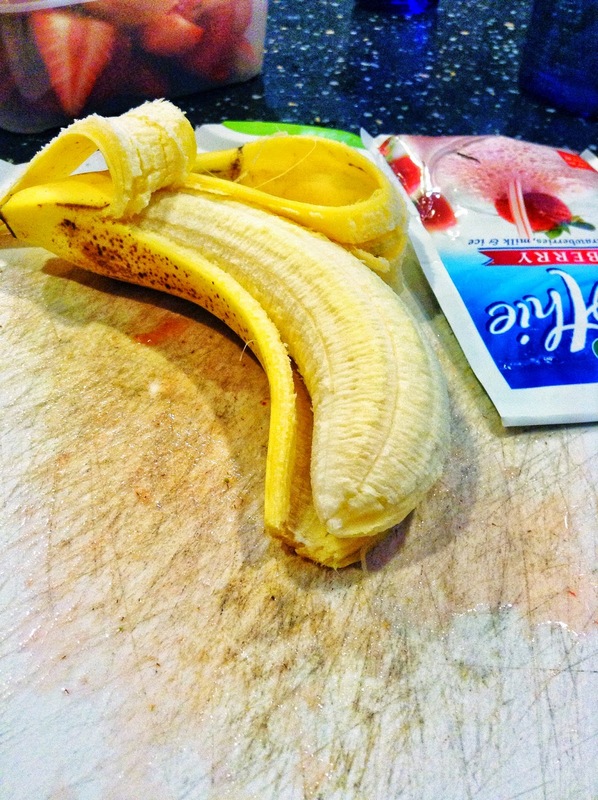 Hint: The discarded tops of your strawberries are perfect for composting! 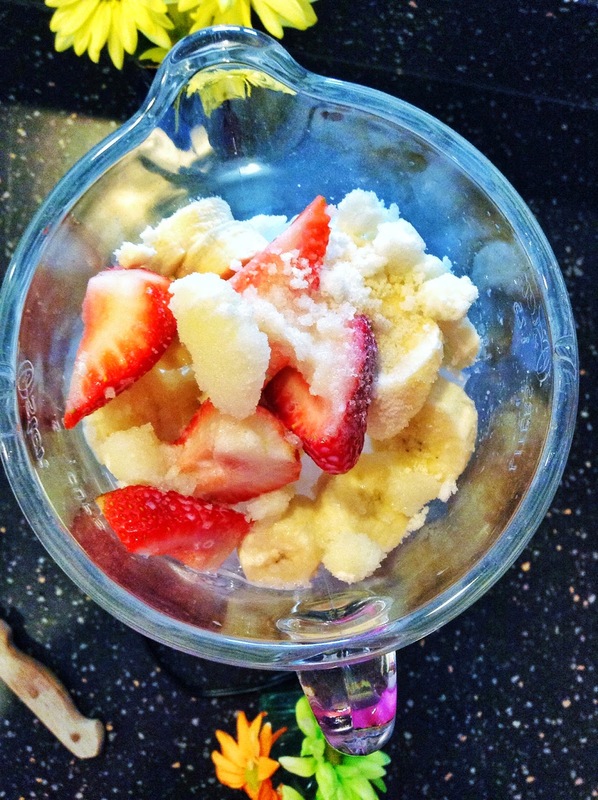 The pack does not call for any other fruit, but I love bananas and decided to add some to my smoothie. 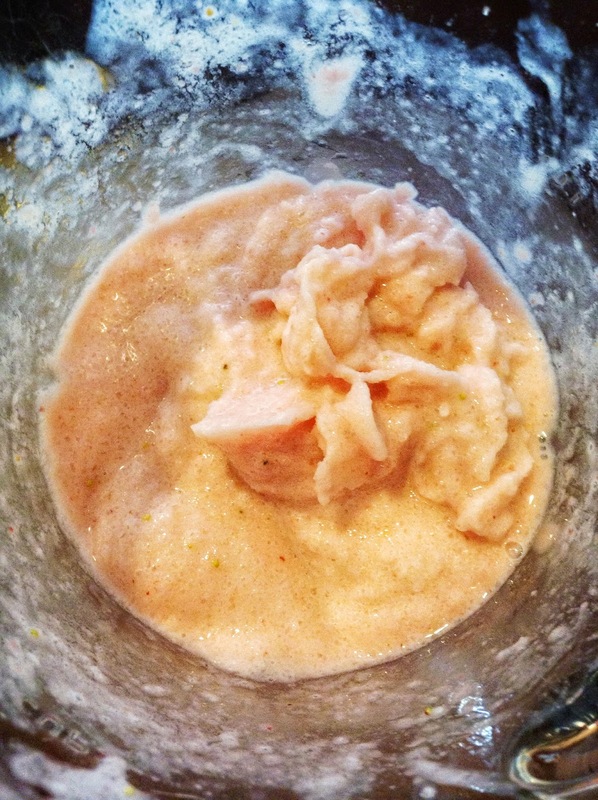 Put all your ingredients in your blender, I only use 1/3 of the smoothie pack. 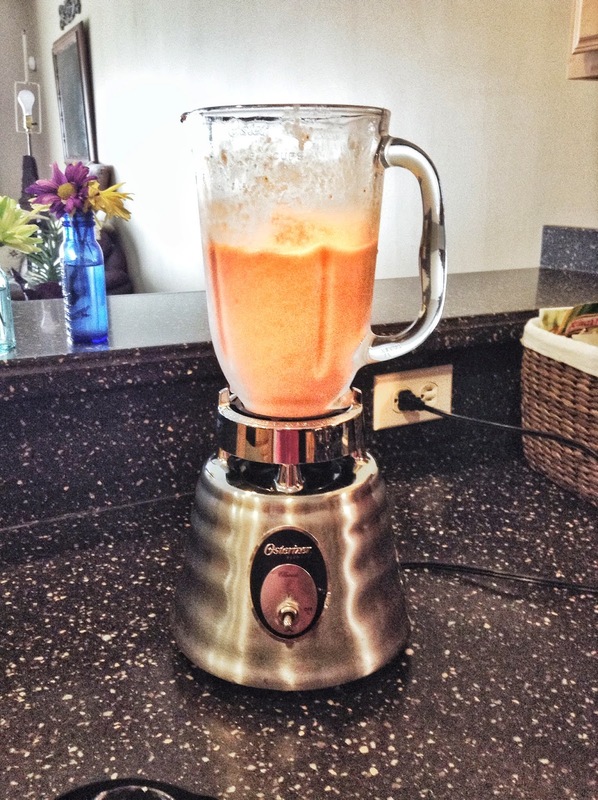 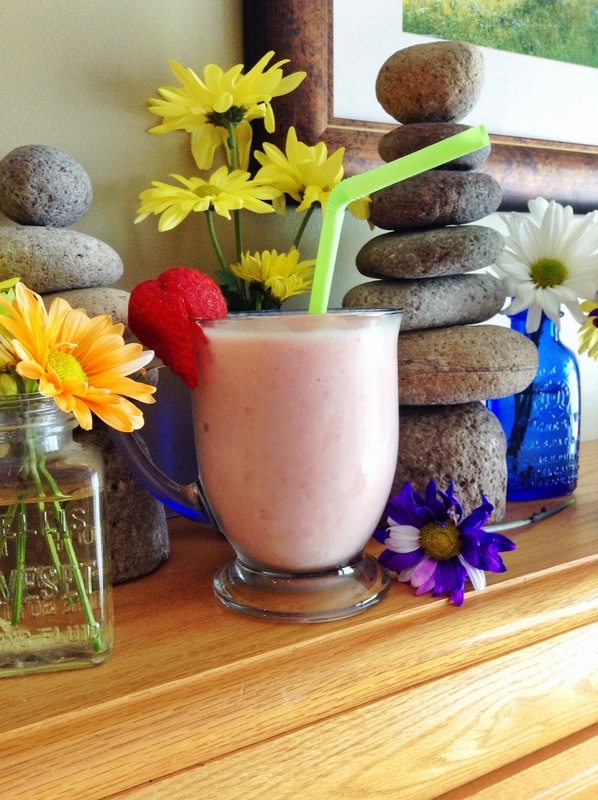 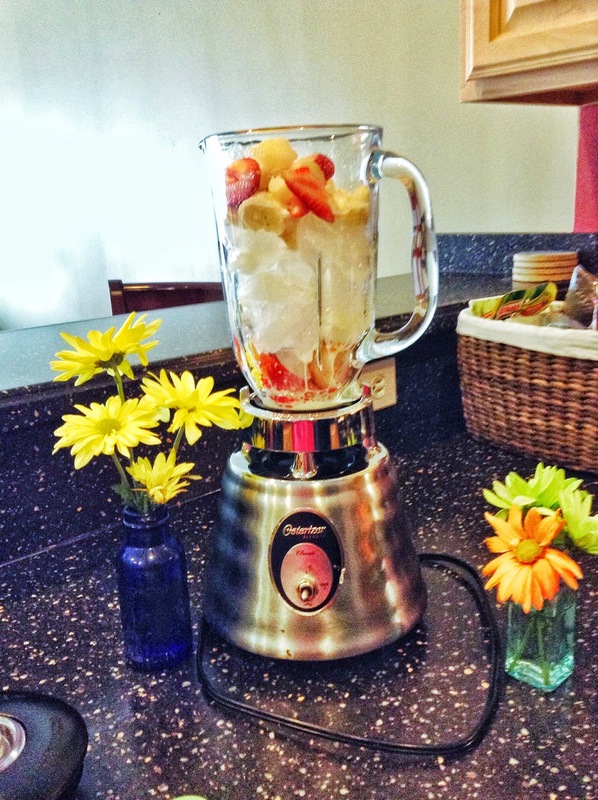 The whole thing really isn’t needed; the fruit and milk are enough to make your smoothie delicious! 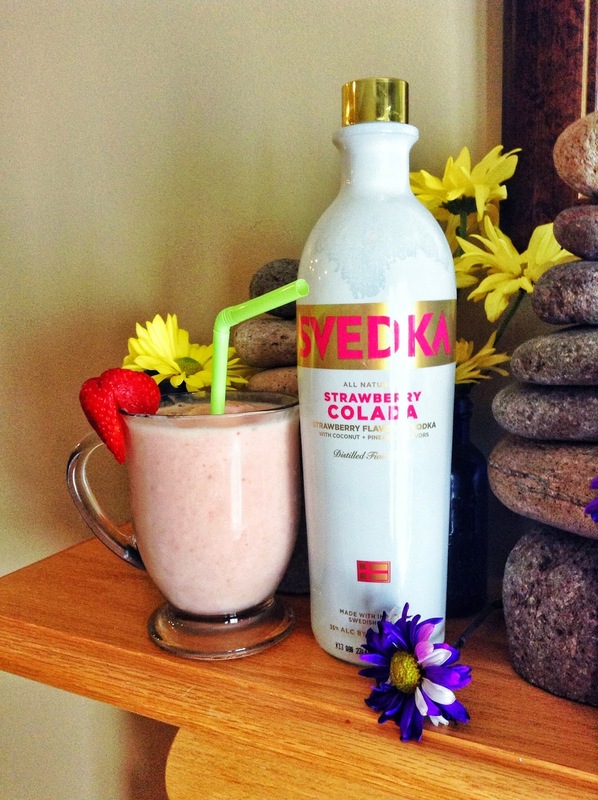 To make things a little more interesting add some Strawberry Colada Svedka for a fun warm weather drink!